Popular shortcut app Launcher has been allowed back into the iOS App Store with all of its original features, while Pixelmator for iPad has been updated with a large assortment of improvements, including watercolor tools. 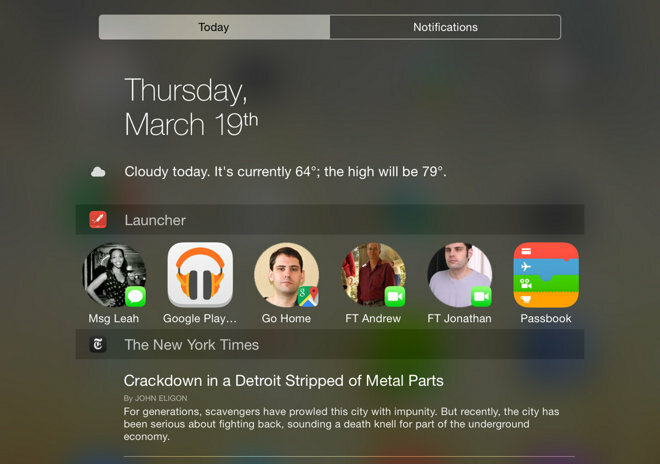 Launcher takes advantage of iOS 8's Notification Center widgets to create shortcuts for common actions, such as calling a specific contact, navigating to an address, or simply opening a favorite app. At first Apple approved the title for the App Store, but it was quickly removed on the basis that it abused the purpose of widgets. Since then developer Greg Gardner has repeatedly tried to get Launcher back on the store with modifications. A more basic version of the app was approved earlier this month, and Gardner has told MacRumors that when Apple was asked why that version was acceptable but the original was not, the company reviewed its decisions and chose to permit all Launcher functions. The app is a free download for any iOS 8 device. A $4 Pro upgrade lets users shrink icons, hide labels, or add several more rows of shortcuts beyond the first two. 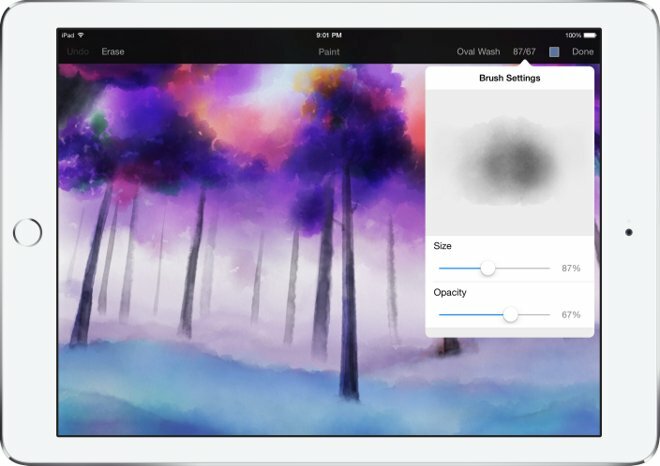 Version 1.1 of the app has a collection of 12 watercolor brushes, which can be applied to clean canvases or existing images. The brushes are additive with soft radiuses, something meant to help with blending and shading. Also new is an upgraded Color Picker, which has a Color Grid for more precise selection, and a history of previously used colors. The app's underlying painting engine has been optimized to be up to twice as fast, and brush settings are now previewed during adjustment. Expanded file support lets users open 16-bit RGB, CMYK, and grayscale Photoshop image previews, as well as Photoshop images with layer masks. Likewise, users can now insert an image as a new layer from iCloud Drive, and open and edit RAW image previews. Some minor additions include a Lock Alpha option for painting on non-transparent portions of a layer, support for more Adonit styluses, and better pressure sensitivity for all compatible stylus models. Pixelmator costs $10, and requires an iPad with iOS 8.1 or later.